There are a lot of things about the tiny world at the edge of our solar system that continue to pique our interests, especially after New Horizons finally completed its nine year journey to Pluto and gave us the most detailed images of the dwarf planet yet. These images, while revealing much, also prompted a host of new questions. 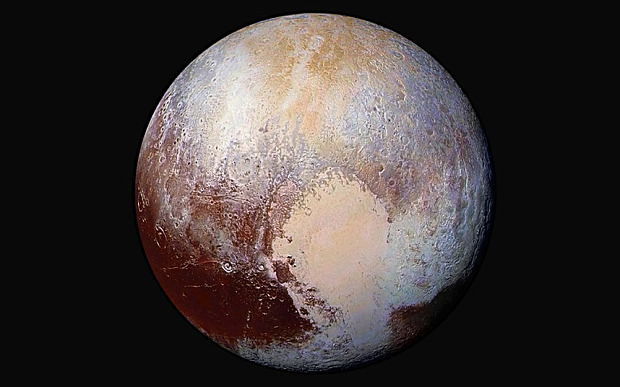 Since this flyby, the world has seen how geologically diverse Pluto is. Images show that the little world does indeed have a complex terrain and, as we learn more about the Pluto, we begin to understand just how different Pluto’s interior actually is from our own. 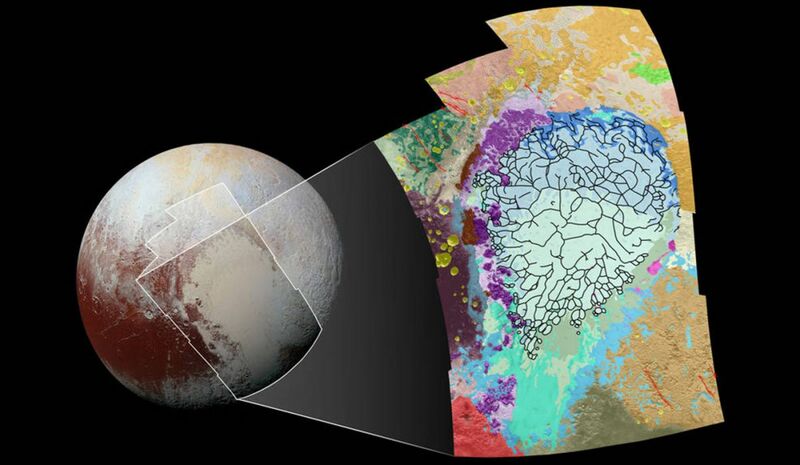 Now, NASA has created a color-coded map that underscores just how complex and unique Pluto’s geology is. 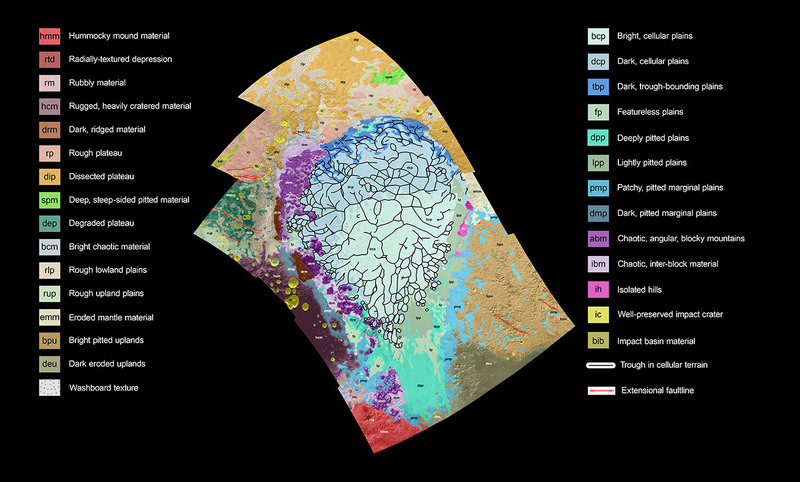 The map identifies and labels the texture and morphology of this world and reveals much insight into the dwarf planet. In this photo, NASA tried to map out each geological feature as accurately as possible. Ultimately, it is based on a dozen images captured using New Horizons’ Long Range Reconnaissance Imager. Pictures were taken at a resolution of about 320 meters (1,050 feet) per pixel. In the map, Sputnik Planum (part of Pluto’s Heart), is shown as the bluish, cracked center illustrating that Pluto is home to a nitrogen ice plain (where the recently resolved mystery of Pluto’s moving hills are located); to its side are likewise familiar geological features, such as mountain ranges; on its edge is what looks like a cryovolcano; and all around, the planet is doted by impact craters. The space agency is also making it a point to review the photos closer to figure out which part goes on top of which in order to determine if the formations are older or younger—basically come up with a timeline that will help us understand when each geological feature appeared on Pluto’s surface.